The President was on target during his speech on climate change at Georgetown University when he announced new initiatives to curb the release of greenhouse gases and thereby slow down the effects of climate change. However, a key aspect to meeting this huge challenge is to set national goals based on specific timetables. Without President Kennedy setting a goal to land an American on the moon by a specific date, it is doubtful that we would have ever achieved this. 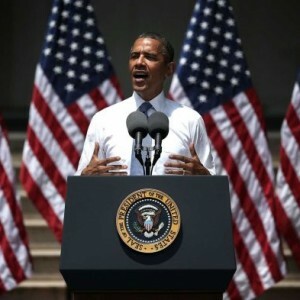 President Obama’s goal-setting in his recent speech was incomplete and rather imbalanced. There was a goal to double renewable energy on federal lands, and reducing greenhouse gas emissions by 17% relative to year 2005 is often referred to as a goal for the year 2020. But without a goal with a specific date and a specific action to be accomplished, a project of this great magnitude is unlikely to develop a meaningful action plan and may never be implemented. The President needs to go beyond this first important speech and provide these missing goals, along with directives to different federal agencies, such as the Department of Energy, to require them to develop action plans on what needs to be done to achieve such goals. Should there be goals for energy conservation and nuclear power, which today produces about two thirds of the carbon free electricity in this country? Should we not have a goal, by 2020, to get our energy input per unit of GDP down to levels achieved by other industrialized nations? Are there other goals that should be included? Should there be goals for energy conservation and nuclear power, which today produces about two thirds of the carbon free electricity in this country? Should we not have a goal, by 2020, to get our energy input per unit of GDP down to levels achieved by other industrialized nations? Dr. Specter thinks that the Obama climate plan will produce disappointing results. I would agree, but his prescription seems to be more state planning, more numerical targets, and more timetables. In fact, governments are not equipped to do the kind of planning of that Dr. Specter appears to want. Just a few years ago DOE’s experts, like most others, had not yet foreseen the coming boom in unconventional oil and gas. After four years of study, government still cannot make up its mind about the Keystone XL Pipeline. And its current green energy programs are a lot more effective as vehicles for rent seeking than they are as means of limiting climate change. Why, then, would we expect the same government to suddenly become more farsighted, more decisive, and less easily seduced? And if, tomorrow, by some miracle, wisdom and virtue were to descend upon Washington, can we count on the same thing happening in Beijing and Delhi? If not, U.S. good deeds are merely so many bargaining chips fecklessly tossed away. Gosplan is dead. Let’s not resurrect it in the guise of climate policy. I agree that regulation is not the right way to approach the problem of carbon emissions. The right way follows from recognition that there are serious long term external costs associated with the burning of fossil fuels. A basic economic principle is that the proper cost of any good or service includes its full external costs. That implies either a carbon tax, or the cap and trade equivalent, calculated on the basis of the cost of removal of the emitted carbon from the atmosphere. Or it could also be based on the cost of other remediation for the damage done by rising atmospheric CO2 levels. Perhaps carbon tax revenues could go into a trust for funding disaster relief efforts? Unfortunately, with congress beholden to interests whose future welfare depends on continued burning of fossil fuels, the right approach is blocked. Since congress can’t act, the President’s plan does what is possible without congress. It’s significance is largely symbolic, and it won’t be enough. But at least it moves us in the right direction. First, in the first topic question I’d prefer using the term “energy efficiency” or “energy productivity” rather than “conservation” since the latter to some still brings to mind doing without rather than achieving more (whether production or amenity) with less energy. I like the formulation of the second question better, which focuses on energy intensity (energy/$GDP) [or the inverse–energy productivity, $GDP/energy]. The President confined much of his plan to areas where there is existing executive branch authority. Thus the plan and its goals are constrained. For instance, I think many across the range of differing perspectives on how to address climate change and GHG emissions would prefer that Congress pass a law to address the issue rather than rely on the existing structure of the Clean Air Act. Absent such congressional action, the President has to rely on the CAA to address power plant emissions. This means that CAA rulemaking processes consistent with statute have to be followed. In the case of New Source Performance Standards for new power plants (for which there has been a proposal but the President has directed EPA to re-propose) and for subsequent guidance on existing power plants (“111(d)”) there are certain strictures (including technical and economic availability of emissions abatement options) for determining emissions standards (and potentially on how energy efficiency and low/no-carbon generation could be credited for compliance). The President and EPA can’t under existing law determine some national emissions limit or emissions intensity goal then work backward to establish a power plant New Source Performance Standard (and existing plant rule) that comports with that national limit or goal. The law doesn’t allow that. I agree with Rodney that energy productivity or efficiency should be the metric, since there are plenty of means for leveraging our use of energy such that we waste much, much less while getting the same services that allow us such an enviable quality of life in the United States. I also agree that, given the regulatory and other policy tools that will be used to achieve his goal for 2020 as well as bending the emissions curve beyond that, it’s probably not appropriate for him to emulate John Kennedy’s moonshot rhetoric or Babe Ruth’s pointing over the far fence before hitting a home run. But make no mistake, we can hit it out of the park when it comes to reducing carbon pollution and changing our energy sector. As Mike Grunwald of Time Magazine never tires of pointing out, thanks to his aggressive use of policy tools including the Recovery Act and efficiency standards (including historically high standards for vehicles), this President more than any other has taken us in a transformative direction vis-a-vis energy use in this country. And as NRDC has demonstrated through policy and technical analysis, thanks to the Clean Air Act EPA can achieve much more by cleaning up power plants in this country: http://www.nrdc.org/air/pollution-standards/. This last product of ours points to a different model that is more appropriate for the 21st century. Non-governmental organizations can and should play a much bigger role in galvanizing and mobilizing public support for clean energy and energy productivity. This sector has more capacity than in the past to determine the technical potential to reduce emissions by various means (for an example of one such analysis I spearheaded go to http://www.nrdc.org/energy/movingcooler/files/movingcooler.pdf). We are also able to inform and inspire a public hungry for solutions rather than the carping we often hear within the Beltway bubble, as NRDC and a coalition of other groups did with our Go 60 campaign: http://www.nrdc.org/transportation/go60mpg/. The Administration ultimately adopted a standard of 54.5 miles-per-gallon equivalent by 2025, and I can’t help but think the series of analyses, events, and communications from Go 60 helped improve the context for that decision-making such that there was never doubt that setting the performance bar high would be well-received. In short, I think we’re in another era now. One in which those who support the President’s newly announced commitment to using a variety of administrative tools to address the climate challenge can develop credible yet aspirational goals. We can marshall analytical and technical evidence to underpin them. And we can help catalyze public support for them. And, as Lincoln said and as this President recently repeated, with such sentiment from a solutions-hungry public, he can’t fail. Roger Arnold, Rodney Sobin, and I agree that other policy tools could, in principle, have achieved the President’s climate goals at lower cost than the ones that he has adopted. We agree, too, that objections from Congress narrow Mr. Obama’s choices. I would add, although I suspect that Messrs. Arnold and Sobin would demur, that the patent futility of the UNFCCC climate talks casts grave doubts on the realism of the entire Obama approach to climate change. Putting that point aside for a moment, Mr. Obama’s goals, even were they pursued by more cost-effective means, would still probably involve net costs to the United States. The great majority of any benefits from U.S. greenhouse gas (GHG) controls will accrue outside this country. Nearly all of the costs will be borne here. Unilateral greenhouse gas control is more like foreign aid than it is economically rational pollution control. The only escape from this trap would be for the United States to adopt measures to curb its GHG emissions only as part of an accord that also curtailed emissions from China, India, and other fast growing economies. Factors beyond Mr. Obama’s control preclude such an accord. Instead of admitting that the situation is one in which he can do no good, Mr. Obama insists on ramming through policies that are likely to impose net costs on the United States. That hardly counts as “a step in the right direction.” A focus on adaptation would be more prudent and less presumptuous. “Net costs to the US!” Oh no. Yeah, cleaning up the atmosphere ought to be free for “us”, like the cost of ruining it in the first place. The better responses in this thread have included pretty insightful analyses of external, related, or associated costs of energy systems and how we have completely dodged the costs of environmental O&M – as a species pretty much since we went upright. You probably aren’t too happy about the national debt, either? This debt makes that one look like green stamps. The politics of the climate crisis is a vector science. The President is tugging in an excellent direction. Policies pulling us in your direction simply cancel it out, for a net change of, well, zero. Mr. Lane suggests that we American’s have accrued no debt to the global population despite having consumed energy at levels that are hardly imaginable for us going forward – let along the remainder of the planet. It would be good to hear from him exactly how he proposes to keep us out of harm’s way as the coast line submerges and ever more costly storms like Hurricanes Katrina and Sandy ravage the US East and Gulf Coasts. Are we to extract reverse payments from those fast-growing nations of the far east? The New York Times has published the thoughts of Secretary of Energy Moniz on achieving the President’s goals on reducing greenhouse gases [LINK]. Of particular interest is Moniz’s views on the necessity to include nuclear power in meeting mid and long term greenhouse gas release reduction goals. A larger role for nuclear power will require that present capital costs be reduced. How the USA might achieve this will be the topic of another discussion, being developed at this moment. Were the actual present state of radiation effects science and very large scale epidemiological results from all three, occupational, medical and even post-accident exposures taken into account in the regulatory standards the cost of Gen3+ and SMR nuclear power would drop – take a way the subsidies for fossil fuels and the entire cost picture changes. Doing away with the utopian consequences of regulating to the Linear No Threshold Hypothesis and the ALARA Principle would be well worth the effort. America is so blessed with our abundance of Natural Gas. The other great thing about natural gas is how efficiently this clean combusting Natural Gas can be consumed. The residential market has it’s condensing water heaters and condensing boilers that operate at mid 90% energy efficiency. These units vent their cool exhaust through PVC pipe out of the wall. America has only 1 grade of natural gas, and this same natural gas is also consumed by the larger commercial buildings and by industry and at the power plants. So why are these other natural gas consumers also not consuming their natural gas at 95% or 97% Energy Efficiency? Big natural gas appliances consume large volumes of natural gas, and vent large volumes of hot exhaust into the atmosphere. The US EPA states that last year America’s Commercial buildings and Industry and the Power Plants consumed approx. 17.5 Trillion cu.ft of natural gas. Natural gas needs “excess air” to be combusted safely and completely. Commercial boilers are 10% to 40% and turbines 90% to 100%. Now how many cu.ft. of hot combusted natural gas was vented into the atmosphere? The US DOE states that for every 1 million Btu’s of heat energy recovered from these waste combusted natural gas exhaust gases, and this recovered heat energy is utilized in the building or facility where it was combusted, 117 lbs of CO2 will NOT be put into the atmosphere. This adds up to be big numbers when done right. The technology of Condensing Flue Gas Heat Recovery is designed to recover most of the heat energy from the exhaust of these natural gas appliances. The heat energy is transferred into water and this heated water is then used for building space heating, or as heated domestic or process or plant washdown water. At a hotel or university this heat energy can also be used to heat the swimming pools. Instead of hot exhaust COOL exhaust will be vented into the atmosphere. The “created” distilled water can be used for a number of purposes, or treated and used for many more. There is an old saying that a goal without a plan is merely a dream. While I applaud the President’s goal to deal effectively with the impacts of climate change, the plan to get there is sketchy, at best, in my opinion. The magnitude of the task ahead is immense and may not be fully appreciated. A few facts that have not been presented in this ongoing OEPF discussion are offered here to help clarify the difficulties that lay ahead. As pointed out by Secretary of Energy Moniz, there is an interim USA goal to reduce its releases of greenhouse gases (GHG) by 17%, relative to year 2005, by the time we reach 2020… just 7 years away. It appears that we are now about half way to this interim goal, partially because of a weak economy where people have cut back on driving and using electricity and partially because some coal plants have been replaced by gas plants that produce about half the GHG per kilowatt-hour compared to coal and, for now, enjoy very low gas prices. The long term climate change goal is to achieve about an 80% reduction in GHG releases by 2050, compared to 1990 release levels. This goal is quite similar to goals set out by the International Panel on Climate Change (IPCC) to limit the effects of climate change. Note that the non-carbon dioxide portion of the greenhouse gases, largely methane and nitrous oxide, is pegged at around 11% to 20%. Unless cost effective reductions in the release of these non-carbon dioxide greenhouse gases can be found, almost all of the desired 80% reduction in the release of greenhouse gases by 2050 would have to come from fossil fuels, i.e., achieving this long term goal would be the end of the fossil fuel age. Today, between petroleum, coal, and natural gas, slightly over 80 percent of the nation’s energy comes from fossil fuels. So, in just the next 37 years, between now and 2050, we would need to phase out the 80% of today’s energy, fossil fuels, if we are to achieve the President’s goal or pay the price in larger and more frequent impacts from climate change. All this GHG reduction is to take place with a growing population and with that, increased demand for energy. Even if this enormous task of restructuring our sources of energy so that they do not add to climate change effects were achieved, this is far from complete. Just think of the hundreds of millions, if not billions, of end use devices that are energized by fossil fuels. Its not just replacing the coal and natural gas plants, its not only replacing over 200 million vehicles in the USA, it is every house whose water is heated by gas, their gas driers, their gas furnaces and all the factories that use gas to make the products we use and sell. How many electric ranges will have to be built to replace the gas ovens now in tens of millions of kitchens and restaurants? Even building huge numbers of carbon-free end uses, would themselves consume large amounts of energy and materials in their construction. With no fossil fuels we could eliminate all the coal trains and we could do away with all the gas pipelines that deliver natural gas to today’s billions of end use devices. In a non-fossil fuel future we won’t need these coal trains or pipelines. However, we still would need distribution systems to take our carbon free energy carriers, like electricity from renewable energy and nuclear energy, to all these non-fossil fuel consuming replacement end use devices. What might such an electric distribution system look like in just 37 years from now if the role of electricity, from non-carbon dioxide sources, were to expand to meet the demands of all those end uses that would now use gas or petroleum? How many trillions of dollars would it take in new transmission lines to move electricity from their sources to their points of end use? Would the nation tolerate a maze of wires that might crisscross everyone’s back yard? What is the environmental impact of erecting thousands of miles of new transmission line corridors across farms, roads, and wild animal pathways? Ten thousand miles of above ground transmission line corridors, each half a mile wide, would lead to a restricted area about the size of the State of Connecticut. New York State just announced a new underground electric cable to carry hydropower electricity from Quebec to New York City with an estimated cost of over 2 billion dollars, but with a capacity of only one thousand megawatts, about the same as the output of a single large power plant. Let’s take a closer look at the transition from our interim 2020 goal to our long term 2050 GHG reduction goal. One analysis [LINK] shows that even if, somehow, all coal and gas electric power stations were eliminated, even if significant actions were taken to make light and heavy duty vehicles more energy efficient, even if there were a 25% reduction in the release of non-carbon dioxide GHG, the nation would exceed the President’s GHG release limits starting around 2030 if present oil consumption rates in transportation do not decrease sharply. While greater use of electric vehicles is desirable, new liquid fuels that are either carbon dioxide free or carbon dioxide neutral must be developed in order to meet the longer term climate change goal. Assuming that all the issues of food/fuel conflicts, land use, water consumption, and net energy were resolved, it would still take a very long time to produce enough renewable energy liquid fuels to replace the gasoline now used in cars. If a 1000 biomass refineries were built to convert biomass into ethanol or other hydrocarbons, and a new facility were constructed every two weeks, it would take about 40 years to produce enough barrels of ethanol to replace the present number of barrels of oil. Maybe we need to make methanol or butanol from the carbon dioxide dissolved in sea water as this might be another way to produce carbon dioxide neutral liquid fuels. Where would the energy systems need to drive this sustainable sea water system come from? Would you need scores of high temperature nuclear plants? Suppose the debate over nuclear power largely ended. How dangerous can this energy source be if the largest earthquake ever to hit Japan, plus aftershocks, plus the largest tsunami ever to hit Japan, plus explosions, plus loss of all electric power caused the simultaneous meltdown of three nuclear plants at Fukushima and yet the World Health Organization projected very limited and highly localized radiation health effects? Why weren’t these three meltdowns far worse, as many would have predicted? Yet even if the nuclear debate was moderated out of the larger concern about climate change, does the United States any longer have the industrial capacity to rapidly build large numbers of nuclear power plants? Not likely. Does anyone seriously believe that the few new nuclear plants under construction provide a useful template for a major expansion of nuclear power? We likely won’t get nuclear capital costs down until we mass produce them in factories, build them with advanced construction techniques as is done in China and South Korea, and set a fixed turnkey price to remove financial uncertainties and reduce the cost of money. There are no plans to build nuclear production factories in the United States. The central point here is that there is little evidence that we are preparing for the long term. If we were, we would be taking significant actions now to bring about the immense changes in infrastructure needed in the future if long term climate change goals are to be met in just 37 years. Over 30 years ago I described our national energy debate of renewable energy versus nuclear energy as a “fist fight in front of a forest fire”. The only thing that has changed is that we now regularly have these forest fires.